Christmas is past, New Year’s Eve is approaching, and whether you host or attend large parties, intimate gatherings, or stay at home with your loved ones, festive drinks are part of the celebration of the new year. We began taste testing new (to us) cocktails over the weekend and will share some of our favorites this week in preparation for New Year’s Eve. Citrus fruits are in season, making the Big O a perfect cocktail for holiday parties. Todd Thrasher, sommelier at Restaurant Eve in Alexandria, VA, uses many different kinds of oranges and if you can find blood oranges they make a beautiful and festive display in this drink (though we used widely available Valencia). 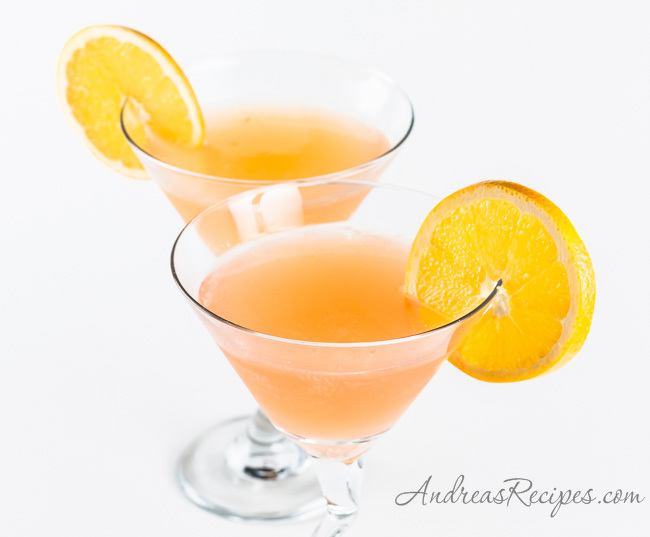 With an orange juice base plus orange vodka, triple sec, and orange bitters, the orange flavors permeate the drink. The orange bitters were tough to track down, and none of my regular stores carried them. If you can’t find any you can omit them, but the orange bitters add a little spice that lends character to the drink. 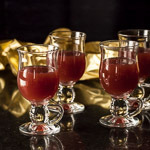 If you are feeling adventurous and have 25 days, you can even make your own bitters (see links below). There’s even a link to a video demonstration by Thrasher on how to make bitters. SIMPLE SYRUP: Mix the sugar and water in the sauce pan and bring to a boil. The sugar should dissolve completely. Let cool completely and transfer to a jar or squeeze bottle. Makes about 12 ounces, and will keep for up to 1 month in the refrigerator. COCKTAIL: Fill the cocktail shaker with ice, then add the remaining ingredients. Shake well, then strain into the chilled martini glass. Nice! We’ve no problem getting oranges here in Kuching, but vodka is prohibitively expensive. 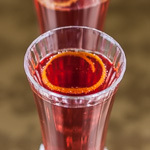 I loved your holiday cocktail series last year – this Big O looks like a winner (gorgeous photo) and will be on my New Year’s tasting menu! Wow Andrea, that looks amazing! 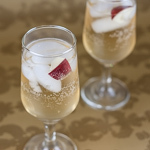 I just did a post on dairy-free beverages for New Year’s, and this one would be a perfect fit. I have so been craving oranges lately, and what better way to enjoy them!